Apart from the joints in the neck, hips and knees, the vertebrae in the lower back are also very susceptible to wear and tear. If you are 45 or older and you often suffer from lower back pain, we suggest you visit a specialist, who can take an X-ray or MRI scan to determine whether there is any wear and tear in the lumbar intervertebral discs. Osteoarthritis of the back – or facet arthritis – can also affect younger people, for example following an accident, surgery or sports injury. 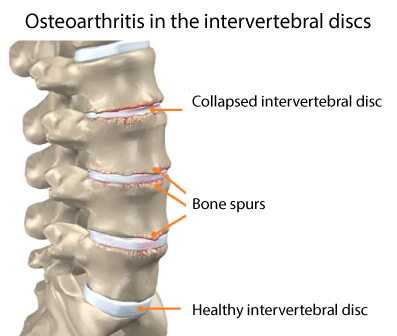 Obesity, a hereditary predisposition for the disease and heavy straining can also contribute to osteoarthritis of the lumbar intervertebral discs. The same goes for small limb length discrepancies, scoliosis or wearing the wrong shoes for long periods of time. Moreover, a lumbar hernia can occur. What causes arthritis of the back? Osteoarthritis of the back is caused by degeneration of the intervertebral discs, which lie between two adjacent vertebrae. These elastic ‘shock absorbers’ are made of cartilage and have a gel-like core. As we get older, this soft core can start losing moisture. The intervertebral discs then become drier and start wearing. 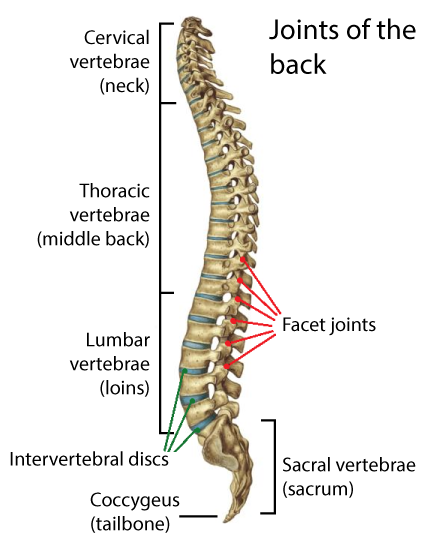 They slowly collapse and thin, bringing the vertebrae closer together (and making you shorter in the process!). This changes the way your back handles loads. 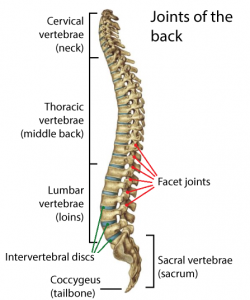 The vertebrae can no longer absorb movement shocks and arthritis can damage the movable facet joints, which connect the vertebrae at the other side, causing facet arthritis. As a result, bone spurs or ‘osteophytes’ form and start pressing against the nerves, causing pain and irritation in the surrounding tissues. What are the symptoms of osteoarthritis of the back? Osteoarthritis of the back usually causes lower back pain due to stretching periosteum – the membrane that covers the outside of the bones – and stretching ligaments and joint capsules as a result of the altered position of the vertebrae. This symptom tends to worsen when patients lift heavy loads, or sit or sleep in a wrong position. The back also loses suppleness and mobility. Bone spurs pressing against the nerves can cause pain, muscle weakness and numbness in the legs and buttocks. In a more advanced stage, the muscles and tendons can become inflamed. Moreover, the wear-and-tear process can cause the cartilage to crumble, which can further irritate the joints. How is arthritis of the back treated? To date, no drugs have been developed to cure osteoarthritis of the back or of other joints. The main elements in any treatment programme are pain relief and movement. 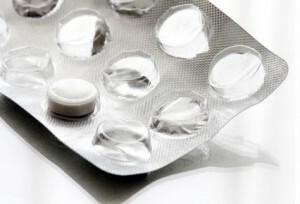 When patients complain of pain, the physician will first prescribe paracetamol. However, if the pain is severe, an anti-inflammatory may be a better option. Non-steroidal anti-inflammatory drugs (NSAIDs) are a good solution, but they can cause nasty side effects. That being said, in recent years, good results have been reported with the use of a liquid combination of Green-lipped mussel and Curcumin. Liquid Green-lipped mussel is more easily absorbed than powders or extracts, and 70% of arthritis patients achieve good results within 80 days. These natural anti-inflammatories are therefore a valid and effective alternative to medicinal anti-inflammatories, also for osteoarthritis of the back and neck. What’s more, to date, no side effects have been reported when using this treatment, which is sold at pharmacies, health shops and drug stores. Many people who suffer from arthritis of the back try to relax their back as much as possible; however, if you are diagnosed with this condition, you should actually keep moving to maintain the strength, suppleness and vitality of the muscles in your back. If you stop moving, these muscles become weaker and weaker, making them unable to properly support the spine. This puts great strain on the joints, which only worsens symptoms. In a nutshell, keep moving if you are affected by osteoarthritis of the back to keep your muscles strong, flexible and healthy. Walking, swimming or cycling half an hour a day is a very good start to support your back! If patients have severe symptoms, the specialist may take more drastic measures to reduce the pain. If other pain-relief options do not work, he may administer a corticosteroid injection in the nerve roots surrounding the affected joints. This is done under local anaesthesia. In urgent cases, surgery can relieve pressure on the bone marrow. However, it is highly recommended to look into alternative treatments first, such as orthomanual or chiropractic therapy, massages, osteopathy and even acupuncture. Below you will find an exercise programme that aims to strengthen the muscles of the back and promotes back mobility. You should do three sets of each exercise, with a 30-second break after each set. Good luck! Lie on your back, bending your knees and keeping your feet flat on the ground. Tilt your pelvis backward to curl your lower back. Count to three and release. Then tilt your pelvis forward to make your back hollow. Count to three and release. Lie on your back with your legs stretched. Stretch each leg by pushing one leg away from you and pulling the other one towards you. Lie on your back, with your arms stretched out beside you. Bend your knees, keeping your feet firmly on the ground. Move both knees to one side as far as you can. While doing so, keep your feet and shoulders in position. Lie on your back, bending your knees and keeping your feet flat on the ground. Place your arms beside you. Press your lower back to the ground. Lift your head a little and move your torso toward your knee until you have slightly lifted your shoulder blades off the ground. Lie on your back, bending your knees and keeping your feet flat on the ground. Lift your head a little and move your torso toward your knee until you have lifted your shoulder blades off the ground. Then touch the right outer knee with your left hand and vice-versa.